HIGHER rentals and lower-than- expected operating costs helped SPH Reit to exceed forecasts in its second quarter. The shopping mall owner posted distributable income of $34.9 million for the period ended Feb 28, its manager said yesterday. This works out to a distribution per unit (DPU) of 1.39 cents - 4.5 per cent above the forecast set in the trust's prospectus before it listed on July 24 last year. While this is lower than the Reit's maiden DPU of 1.86 cents for the first quarter, it brings the total DPU so far to 3.25 cents, which is 3.2 per cent above forecasts. Distributable income was lower in the second quarter as the first set of results issued by the Reit included the first quarter of this financial year and 39 days of the last financial year. Unit-holders will receive their second-quarter distributions on May 14. Based on the Reit's second- quarter closing price of 97.5 cents per unit, the annualised distribution yield is 5.78 per cent. SPH Reit's gross revenue for the second quarter was $51 million, 1.4 per cent higher than expected. This was buoyed by higher variable rent during the Christmas and Chinese New Year period, said SPH Reit Management. Property operating expenses were $12.2 million for the quarter, 7.7 per cent lower than projected. The main reason for this was cheaper utility fees, due to lower consumption and more competitive prices, said the Reit manager. As a result, SPH Reit's net property income of $38.8 million for the period was 4.6 per cent higher than forecast. Continuing from the first quarter, both the Reit's properties - Paragon mall and The Clementi Mall - were fully leased. Their net property income has overshot forecasts by 2.4 per cent and 1.7 per cent respectively in the year to date. The Reit manager said Paragon continues to achieve consistently robust performance with rental reversion of 13.6 per cent for the year to date period. 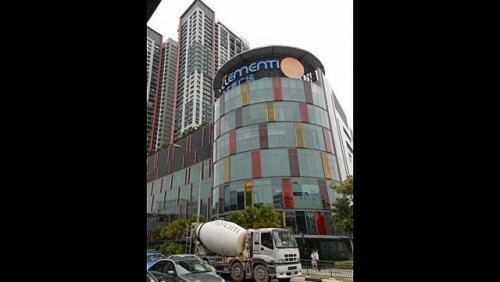 The Clementi Mall, which opened in 2011, has seen the first cycle of lease renewals. More than 90 per cent of the tenants, based on net lettable area, have renewed their leases for another term. The average rent of 45 new or renewed leases at the mall in the financial year so far was 5.1 per cent higher compared with the previous rents. Ms Susan Leng, chief executive of SPH Reit Management, said the two malls "are expected to turn in a steady performance". SPH Reit's units fell half a cent yesterday to close at 98.5 cents.